 While Seattle Central College's official history began in 1966, its performance venues have an even deeper backstory. Built in 1911 and modernized in 1979, the Broadway Performance Hall hosts a variety of events and performances year-round, and has served the arts community as “Seattle’s Showcase for Local and Regional Artists.” The building itself is on the National Register of Historic Places, and is the only remaining part of the Seattle’s first high school, Broadway High. The last graduating class of Broadway High School was in 1946. The building then entered use as part of the neighboring Edison Technical School and, by 1966, as part of the newly formed Seattle Community College. Plans were made to demolish the entire old high school building, but under community pressure a decision was made to salvage the only part of the building that was structurally sound, and incorporate it into the new community college campus. The old auditorium was remodeled and the sandstone exterior removed to expose the underlying brick, preserving the original look of the historic high school onto the newly-named Broadway Performance Hall. In the decades since, the Broadway Performance Hall has hosted a variety of famous guests - including singer/conductor Bobby McFerrin, singer Linda Ronstadt, directors Sydney Pollack and Quentin Tarantino, actors Alan Alda and Richard Harris, tap-dance legends Cholly Atkins and Arthur Duncan, beat poet Allen Ginsberg, psychologist Oliver Sacks, choreographer Bill Evans, graphic artist Art Chantry and activist Bobby Seale, to name just a few. First built as an auto-repair shop, the space now known as Erickson Theatre joined Seattle Central College as a temporary performance space in 1981. But as the college's theater arts program grew, the theater's technical capabilities began to fall behind - and a change was needed. With plans in place for large-scale renovations, the theater was officially re-named in 2002 for Dr. Ed K. Erickson, a trailblazer of the Seattle Community Colleges initiative and former president of the Seattle Community Colleges District. Fundraising was completed thanks to the financial support of local arts foundations as well as Seattle Central students, staff and administrators, and ground broke on the renovations in 2003. Dr. Erickson's legacy as an education pioneer lives on at Erickson Theatre, where professional-grade lighting, sound and seating bring art to life for generations of performers - and audiences - to come.